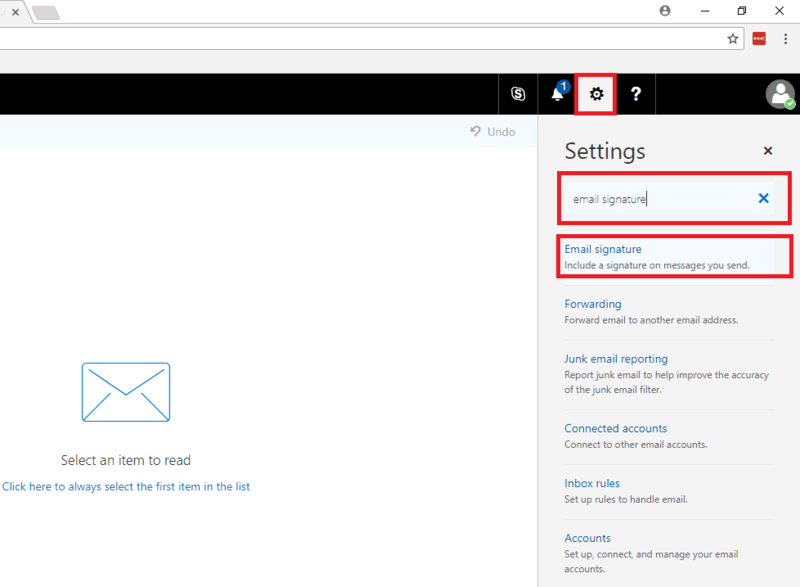 Once you are ready to set up your email signature, log into your Office 365 email account using a web browser. At the top right, click the settings icon. 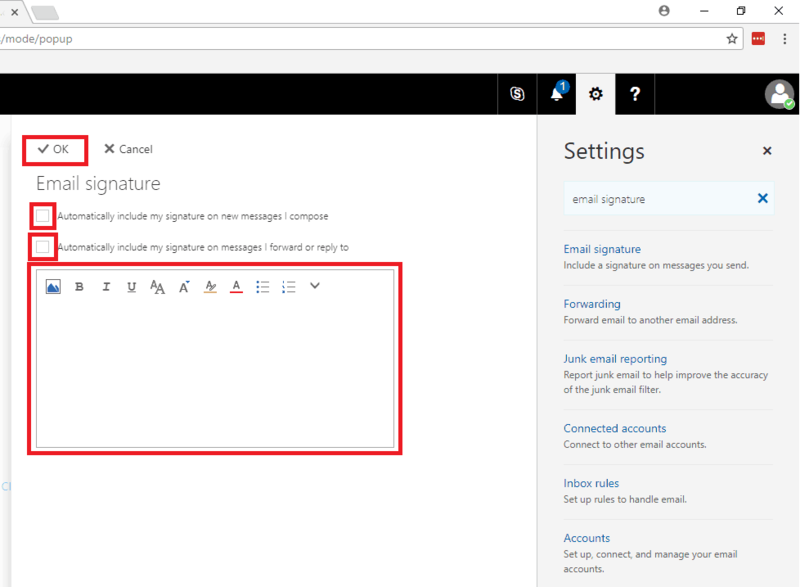 In the search section, type in “Email Signature” and click on the first result. You will then see the Email Signature section in the middle of the screen. Paste your new or updated email signature in the text box provided, and select the 2 check boxes above to include your email signature on new messages, forwards and replies. Click OK to close this window. Be sure that emails are being sent in HTML format and not plain text format. Click on the Settings icon on the top right again, and this time in the search box type “Message Format” and select the first result. 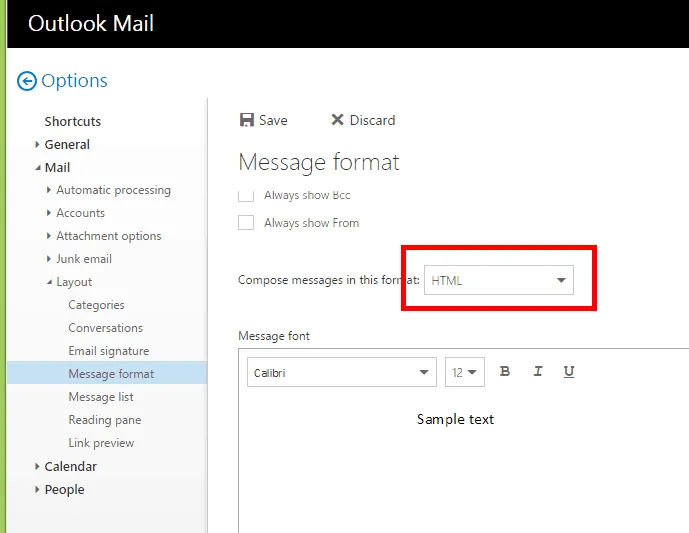 Check that “Compose messages in this format” is set to “HTML” and not “Plain Text”. Click Save at the top of the page.